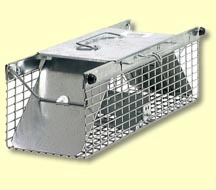 Catch rats, stoats and other small animal pests with the Havahart 1025 two door live animal cage trap. 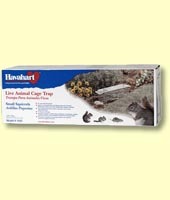 Havahart® live animal cage traps are a safe and humane way to get rid of unwanted pests. Havahart® traps are used by government and wildlife protection authorities, professional trappers, pest control companies, farmers, home owners and others throughout the world. Since over 60 years years, the Havahart® brand has been recognized and trusted by consumers for long lasting, high quality animal cage traps. The Havahart® 1025 rat and small animal cage trap is made of sturdy metal with two spring loaded doors that securely lock. Two spring-loaded doors allow animals to enter from either direction. Two solid doors and handle guard ensure consumer protection while transporting the captured animal. 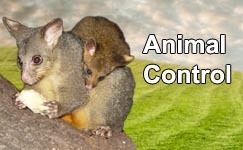 Designed and tested by professional trappers to provide many years of reliable service. The Havahart 1025 live animal cage trap is made of sturdy metal and galvanized wire mesh with steel reinforcements. The trap was designed for long life, maximum resistance to rust, corrosion and wear. Two doors allow animals to enter from either direction. 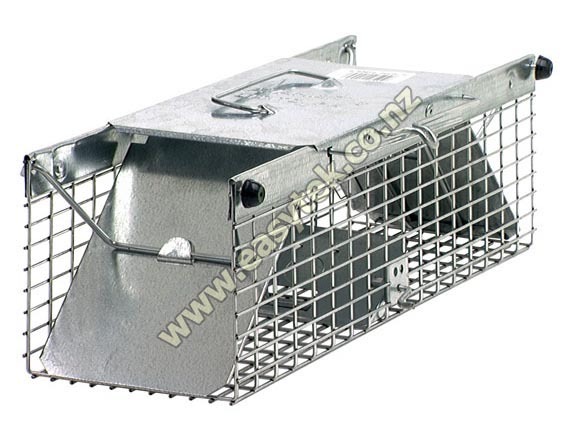 Pests: The Havahart 1025 cage trap is perfect for catching rats, stoats and other similar sized animals. Havahart 1025 Professional Animal Trap reviewed by Wayne M., Masterton on 2016-03-12 . Havahart 1025 Professional Animal Trap reviewed by Gordon P., Wyndham on 2016-01-16 .